Aloha from Rentals Maui, where you will find some of the best places to stay in Maui! We offer a large selection of the top Maui resort, hotel and condo rentals and cater to all tastes, group size and budgets. Each South Maui accommodation is individually owned, uniquely decorated, and meticulously cared for. View more vacation deals and discounts! Are you ready for a Hawaii getaway? For your dream Hawaii vacation, we invite you to the most beautiful and exciting destination on Earth - Maui! 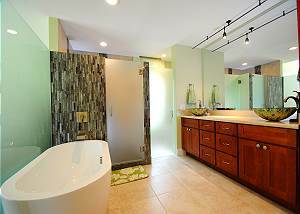 Search our Maui vacation rentals where you can check availability and book online. Have a favorite condo or resort in mind for your ideal holiday? Check out our Rental Property Map. Stop by our Travel Blog, Maui Vacation Rental Advisor, for travel tips, featured condos for rent, island events and more. Have a large family or travel group or friends? Check out our 2 bedroom rentals and 3 bedroom rentals. We have rentals that can accommodate up to 9 guests! Is being close to the beach with a view of the ocean a must? View our current oceanfront hotels and condos in Maui. Don't forget to check out our current Deals & Discounts on resort, hotel and condo accommodations. 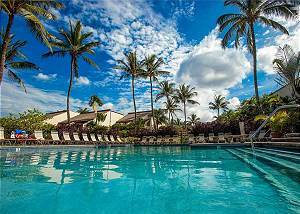 Rentals Maui proudly offers a large array of fabulous Maui resort and condo rentals for all tastes and budgets. Book your desired vacation condo rental online today or simply call our toll free line: (800) 808-3138. We are confident that when your Hawaii Vacation comes to an end, you too will join us in saying "Maui No Ka Oi"!